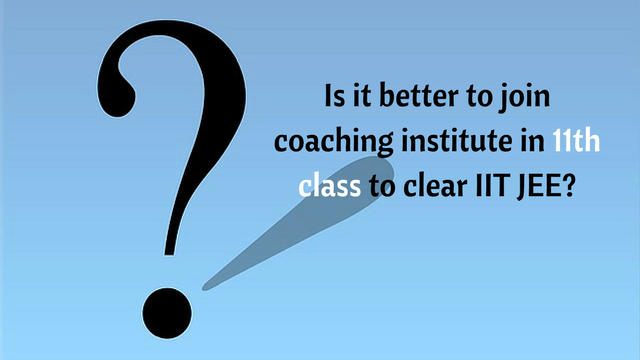 Is it Better to Join Coaching Institute in 11th Class to Clear IIT JEE? Is it Better to Join Coaching Institute in 11th Class to Clear IIT JEE? Is it Better to Join Coaching Institute in 11th Class to Clear IIT JEE? Yes absolutely. It’s good to join coaching in 11th class to clear IIT JEE. I am not saying it’s a must but it will help you achieve your full potential. When we enter class 11 their is a huge gap between the level of class 10 and class 11 which has to be filled. Students who join an institute get good help from teachers and as a result it becomes slightly easier for them. For e.g. – Once you enter 11, you are taught basic maths in physics which is used throughout the next two years. The actual part comes when you enter class 12 and study integral calculus. But integral calculus is used in physics of class 11 itself. So the coaching institutes provide you with the basic knowledge of all this when you start 11th so that you can manage until you study it in maths. When we enter class 11th we don’t have any idea how to utilise our time in right way with full efficiency. 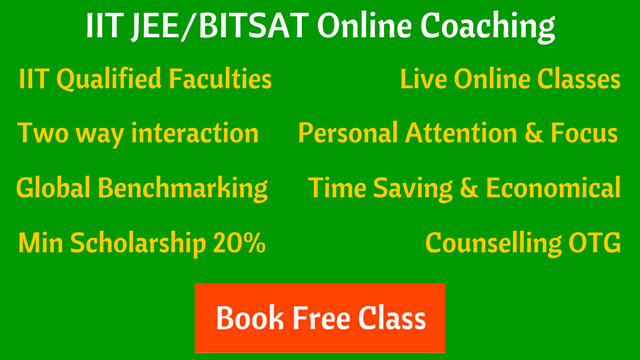 This is where coaching institutes are very helpful. Moreover I strongly believe it’s easier to understand things if a teacher teaches you rather than by studying it yourself. So if you can join one, then it would be great. If not able to join, then you will have to work harder than others to achieve your goal.